New Large Mound poster. 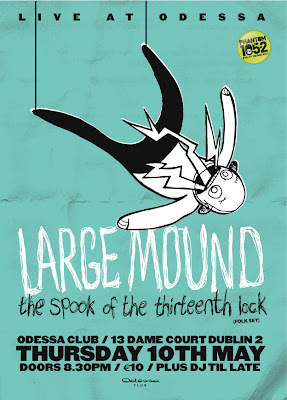 This Jason Frederick illustration is used on the inside of the new Large Mound album, Another Year Of Rock. For this poster I just rotated it and treated it in the same way as I treated another one of Jason's drawings for the cover of Another Year Of Rock. I quickly hand drew and scanned the band names and 'shopped the ol' paper trick. 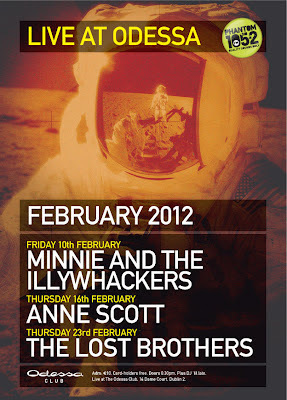 For a super quick poster that was really only meant for a facebook event page I like it. 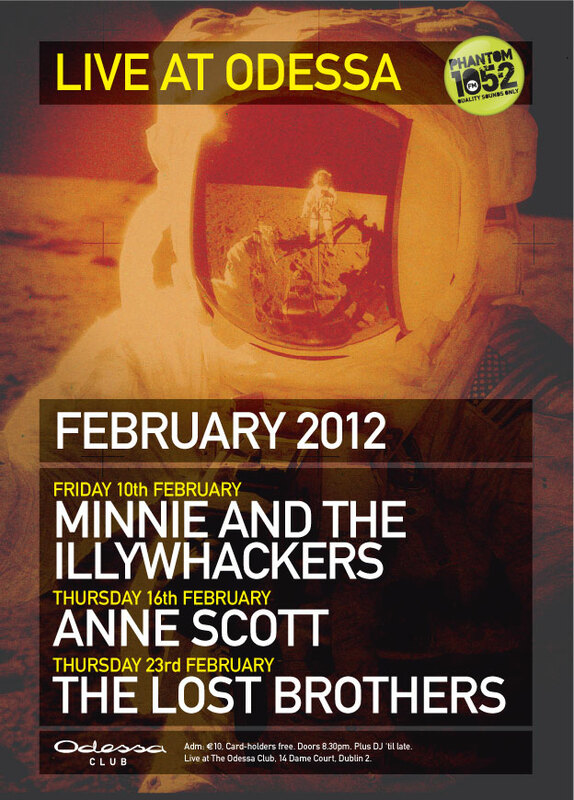 I've been doing posters for the weekly gigs in Odessa Club in Dublin for a few years now. Every year I try to give them a theme. Back in January I decided on space for this year. The most recent posters have a bit more hand drawn action in them, but that's another day's post. 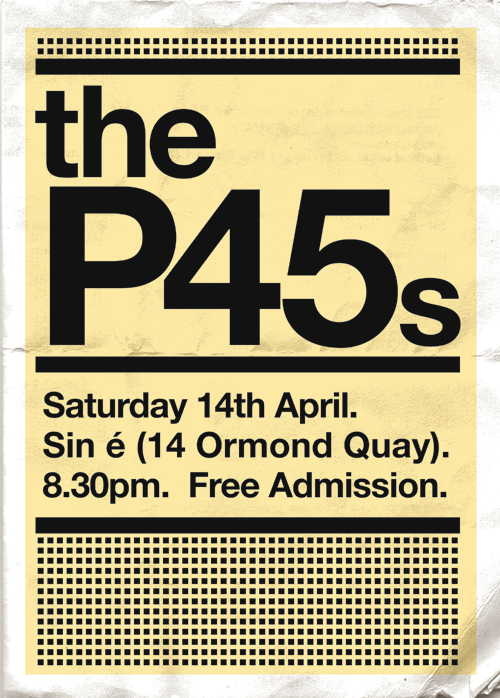 Poster for a band called the P45s playing in Sin é, Dublin, the other day. 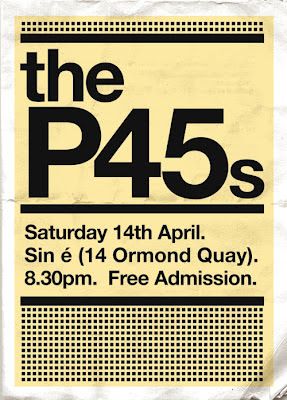 You'd be surprised how many bands there are called the P45s, well actually you probably wouldn't be. Anyway this was a quick job and erm... I like it.